At EPD Consultants every project is directly managed by our licensed professionals to provide efficient and innovative solutions. EPD Consultant is responsible for the Civil and Process Design and review for water and wastewater treatment system at the Hardrock Fire Mountain Hotel and Casino. EPD’s contributions includes the reviewing of civil design, underground piping, and gerneral layout of the facility. 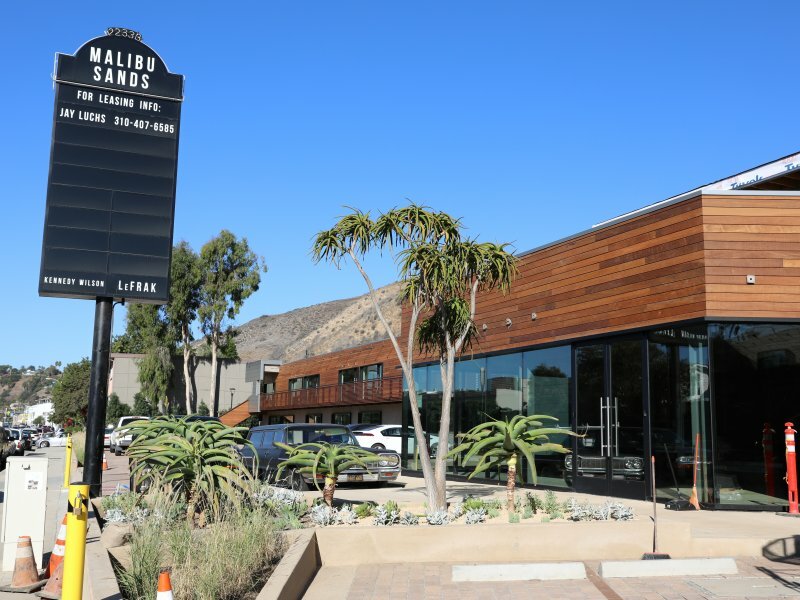 Malibu Sands Center is a newly renovated upscaled retail center. EPD Consultant designed and Onsitewaste Waste Water system to be compliant with the City of Malibu Plumbing Code, Local Coastal Program/ Local Implementation Plan and Waste Discharge Requirements. Estimate of the amount of sludge and scum that will be generated. How sludge and scum will be stored and disposed of to protect groundwater quality. Sludge will not be subject to further treatment onsite. The treatment and disposal of risiduals and how digesters or storage vessels will be cleaned. The existing, developed property consists of the Malibu Surfrider Hotel, with 20-rooms. There are no available sewers in the area of the development, and the development is to be served by a newly upgraded Onsite Wastewater System. The Onsite Wastewater system is compromised of collection treatment and dispersal components. The Surfrider Hotel is actively running and thriving thanks to the newly updated Onsite Wastewater System engineered by EPD Consultant. The newly constructed school needed a wastewater system solution that would be appropriate for the harsh desert weather conditions and its remote location. Integrated Water Services, Inc. was chosen to construct the treatment system, which included a state of the art denitrification technology to meet the regulatory requirements of the environmentally sensitive area. The 7,000 gpd onsite wastewater treatment system was designed by Kevin Poffenbarger, PE of EPD Consultants and includes the SeptiTech Recirculating Media Filtration Unit in combination with the ENR,LLC denitrification upflow filter. During the design phase, EPD was looking for denitrification solution that could comfortably meet the 10 mg/l limit, was cost effective, required minimal maintenance, and was able to handle fluctuating nitrate loading. EPD selected the ENR Upflow filter, which was configured in two, 12,000 gallon Xerxes tanks and installed below grade. The IWS scope of work for the overall project included installing: 15,000 gallon equalization tank, two SeptiTech M3000 processor tanks configured in Containment Solution tanks, an Alkalinity and Carbon Feed System, UV Disinfection, and 18,000 ft2 of Geoflow drip dispersal. All the treatment system components were installed below grade to avoid the extreme temperature swings that impact the desert region. The overall construction schedule was 8 weeks and included work during the early summer months where temperatures reached over 110 degrees during the day. Settling, aerobic pre-treatment and ozone disinfection. Multi-stage filtration including reverse osmosis in an Equaris Infinity System, final ozone and ultraviolet light disinfection. The resulting product meets California Title 22 unrestricted non-potable reuse standards. The entire system is free of PVC, a material whose manufacture and disposal has been linked to health risks and environmental degradation. The system maximizes the efficiency of its reverse osmosis filter -- which can typically reject 3 gallons of water for every gallon produced -- by recycling the concentrate back into the system and rejecting it only when the water exceeds a high threshold. One gallon of purified water per minute is produced at a cost of about 1/2 cent per gallon. A system that automatically filters, disinfects, stores and delivers safe, reliable recycled rainwater to flush all toilets and urinals throughout the facility was conceived and designed by Kevin Poffenbarger, Principal PE at EPD Consultants. Water Recycling Systems, LLC worked along with Kevin’s designs to make this project happen. 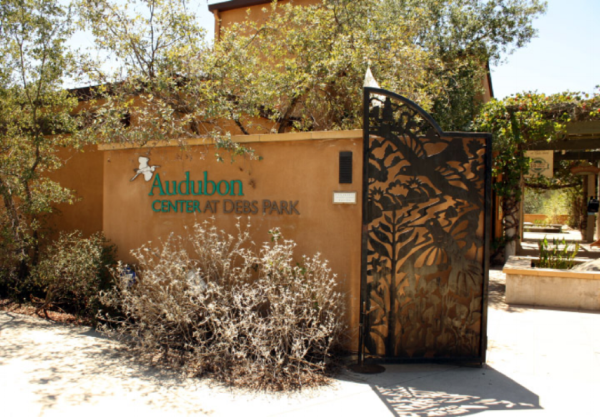 The Audubon Nature Center is a LEED-Platinum certified "green" development consisting of a nature center building complex with adjoining garden and courtyard areas. EPD helped the Audubon Society meet its sustainable development goals by designing a system that treats the building's wastewater for onsite reuse. Because the city does not yet permit the reuse of even highly treated wastewater within a building, the water is presently being used for subsurface irrigation. However, the system is designed to be easily modified to use this water for toilet flushing and other building processes such as cooling once the State Department of Health Services verifies continuous acceptable water quality. Orenco Advantex hybridized anaerobic/aerobic treatment and filtration. Peracetic acid / ultraviolet light advanced oxidation disinfection. Discharge to a Geoflow subsurface irrigation system. Once the city/state approves reuse of the treated water inside the building, there will be an estimated 70 percent water savings over a comparable conventionally-plumbed building.